Which Glass For Your Bubbly? - City Vino, Inc. Which Glass For Your Bubbly? 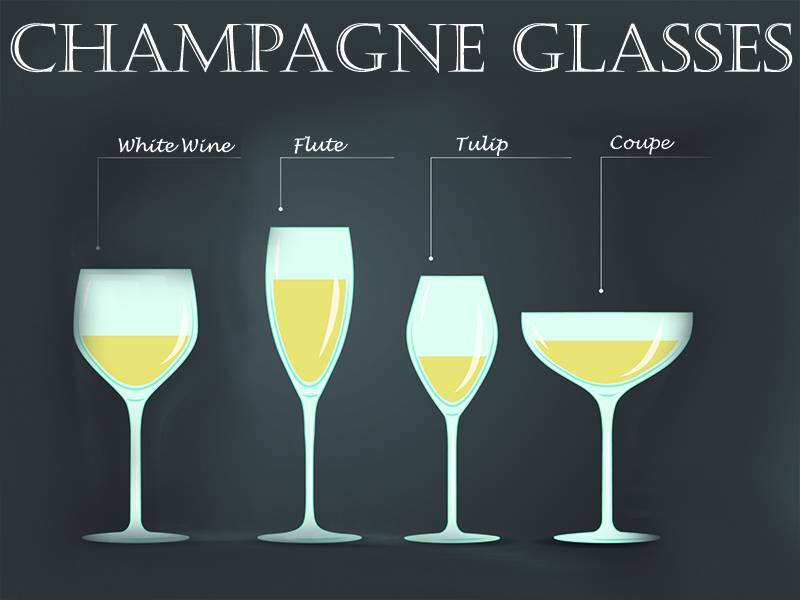 Which glass shape is the best for getting the most of your sparkling wine experience – coupe, flute, tulip or white wine glass? With the start of the new year coming, attention turns to celebratory toasts with glasses of sparkling wine. There are many sparkling wine options, such as Cava, Prosecco, Moscato and Champagne. There are also many glass options. The coupe—a wide and shallow bowl—is also referred to as a “Champagne saucer.” The coupe has also been called the “Marie Antoinette glass,” as rumors circulated that the glass was made in the shape of her breast. While this was truly rumor, the sophisticated glass shape was very popular in the early 20th century and it conjures up images of The Great Gatsby-era parties. The shallow bowl exposes the sparkling wine to more air, so that the bubbles and aromas dissipate more quickly. A flute is an elegant tall glass with a thin bowl and a medium-to-long stem. If you like maximum fizziness in your sparkling wine, this is the glass shape for you. The depth of the glass helps to retain the carbonation, however the narrowness of the opening hampers the ability to swirl the wine and allow the aromas and flavors to develop with the exposure to oxygen. This glass works well for young sparkling wines, where there isn’t complexity of aromas and flavors like there is in an aged, vintage Champagne. The tulip glass has a shape like the flute but with a wider bowl that tapers towards the top forming a tulip shape. The depth of this glass, like the flute, helps the sparkling wine retain bubbles, but with the wider bowl, there is room for aeration of the wine, allowing for the more complex aromas and flavors to shine. Whichever glass shape you choose and whatever type of sparkling wine you open, we wish you a very Happy New Year!